Newsletters are published every Thursday. This includes information and important dates on what is happening at school, in the Parish and the local community. The newsletter can also be accessed via email and via the school app. A hard copy is also available upon request. At St Paul’s Primary School, we want to make it easy and convenient for families to pay for key school activities via a cashless solution. CDF Pay allows families to pay for these activities via an easy on-line payment method. SIGN UP OR LOG HERE TO PAY FOR SCHOOL LUNCHES! Please read the weekly newsletter for updates in regard to other payments that can be made via the St Paul’s online shop. 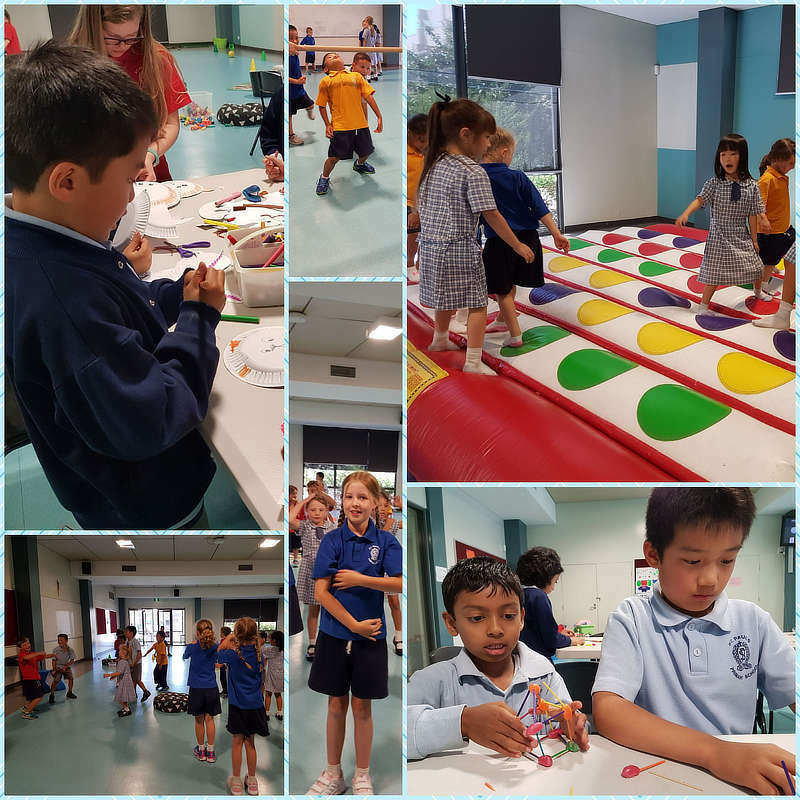 How You Can Be Part Of Saint Paul’s School Community…..
Literacy helpers: assisting in small group activities (workshop for interested parents takes place early in Term 1). Numeracy helpers, assisting in small group activities. PMP (Perceptual Motor Program)…. a program designed to develop gross motor skills in students (Preps only). Sports Day: assist on the day with setting up or running of events. Help Out, If Needed, On An Excursion. Oversee a small group of children under the direct instruction of the classroom teacher. Hundreds of books are purchased each year. As you can imagine, covering and processing is tedious and takes a lot of time. We appreciate any assistance we can get so that students can access these books as quickly as possible. Books can be covered at school, or at home. Help Out With Friday Lunches. A volunteer roster is drawn up for each term. At St. Paul’s we endeavour to support families during times of grief, illness and other hardships. St. Paul’s Pantry was established to reduce the load on families during these times. Volunteers are notified when a family is in need, and prepare a meal (to feed a family of 5) that can be frozen. These are given to the family anonymously. Since 2014 we have provided many meals to families in our school community. You too can be part of a very worthwhile and extremely rewarding experience!